We were awed by some of the innovative products, delicious snacks and beverages at WOW! Taiwan Selects @ Kuala Lumpur 2017. Hey! if you’re a fans of Taiwanese products you might not want to miss the opportunity to visit this exhibition that is currently happening at Suria KLCC concourse area from 11th till 13th of August 2017. Plus you can also experience the famous Taiwan’s ‘xiaolüren’ or ‘Little Traffic Light Man’ or the ubiquitous animated traffic signal that tells pedestrians around the country when it is safe to cross the road, whereby visitors will make a beeline for when in Taiwan. 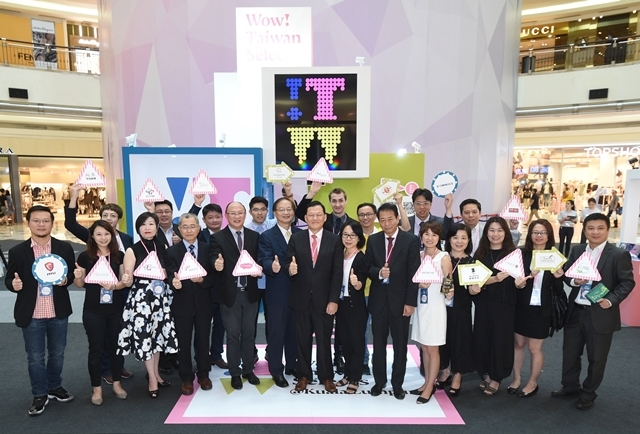 In the nutshell, there are about 20 premium brands and 60 products comprising some of Taiwan’s best lifestyle brands are on display. Such as cosmetics, snacks and beverage, gadgets and home appliance for you to taste, feel and experience including some of the brands that are not yet in Malaysia. The four day event themed ‘Beat Your Heart’ is hosted by the Commerce Development Research Institute (CDRI) of Taiwan. WOW! Taiwan Selects mirrors the vibrancy and distinctive traits of Taiwan’s street scene, including the Little Traffic Light Man which made its debut in Taipei on 18 March 1999. 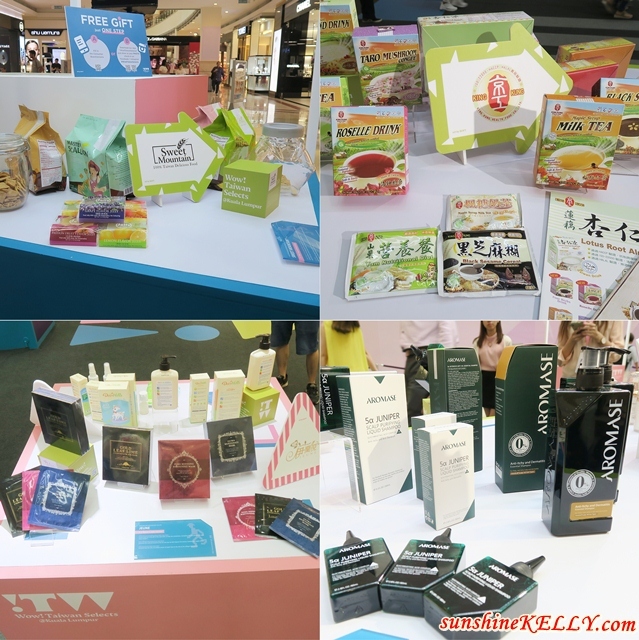 I was excited when I found out that there are quite a fair bit of premium skincare and cosmetics brands from Taiwan that participated in this event. Whenever I go to Taiwan I always come back with a luggage full of cosmetics especially facial masks. During the event I spotted some of my favourite masks from Taiwan that are not in Malaysia such as the Perfect Concept Micro Hydro Cellulose Masks from Sunray’s Taiwan Plant Factory and Jeune Gold Leaf Lime Energizing Black Mask. For all the beauty enthusiast fans you will not be disappointed as you can experience and try a wide range of deluxe cosmetic brands at the event including products from My Beauty Diary, UNITOUCH, Aromase, Deer Hills, Dr. Wu, YUAN, Sunray’s, Jeune and Yue Happiness. Not only that, you will also get to sample some of Taiwan’s premier healthcare products from KOKO, Da Jin Enzyme, Match Q and Dr. Syngen. I tried and like the enzyme drinks from Da Jin too. I am sure many of you including myself love Taiwanese snacks and beverages. At WOW! Taiwan Selects you will discover renowned Taiwanese packaged food brands such as Mr. Johnson, Tastywow, Sweet Mountain, Oomph Cold Pressed Juice, Oceanesh and King Kung. The black sesame cereal and lotus root almond drink by King Kung taste so good. Plus the Sweet Mountain Fruit Jelly is awesome when it’s chilled. I wish that I can get them here in Malaysia. By the way, the event is also showcase Taiwan’s creativity and innovation by bringing in some of Taiwan’s latest tech gadgets. Go try the motion-based AR game at the booth as well as test virtual reality games by HTC VIVE and gaming PCs from Taiwan MSI – a world leading gaming brand and most trusted name in the gaming and eSports industry. Overall, we had a great time discovering and experiencing some of the Taiwan’s best lifestyle brands WOW! Taiwan Selects @ Kuala Lumpur 2017. I wish some of the products on display will be available in Malaysia soon. Wow! Taiwan Selects is a regional marketing program commissioned by the Foreign Trade Bureau of the Ministry of Economic Affairs which is established to assist Taiwan Businesses to tap into ASEAN and Indian markets. It was launched in 2015, the program continually build strong networks and relationships with overseas buyers. Aiyah! miss this one. I wish visit to KLCC last week. Ayy missed out this event.